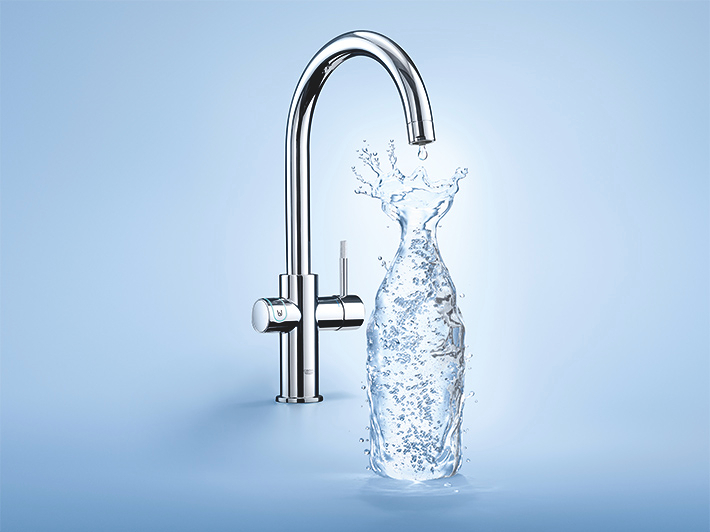 Configure your GROHE Red® water system in a few simple steps. Hot water. In the past you would have needed a pot or kettle, now it comes directly from the tap. 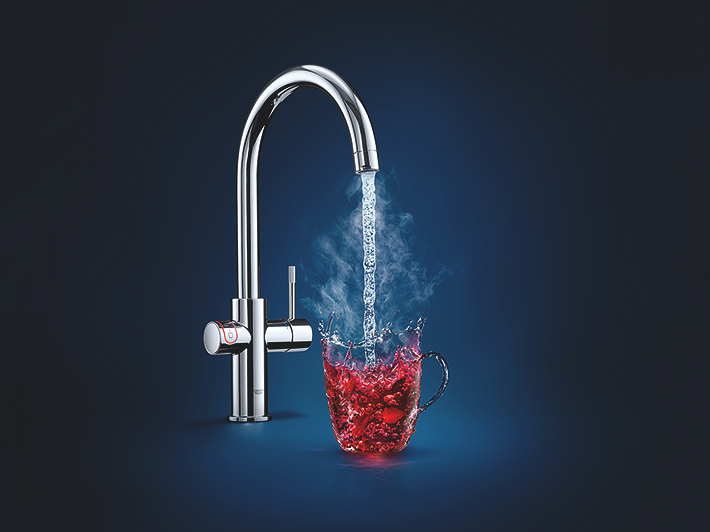 The innovative GROHE Red boiler system keeps three or six litres of filtered kettle hot water water (depending on the boiler version) ready for immediate use at all times. Every day, we all benefit from and enjoy the luxury of drinking water straight from the tap. Most of us are happy using it for cooking and making cups of tea and coffee, but when it comes to drinking a glass of water, we are often put off by the taste and reach for a bottle of mineral water. Hardly convenient and not exactly sustainable either. 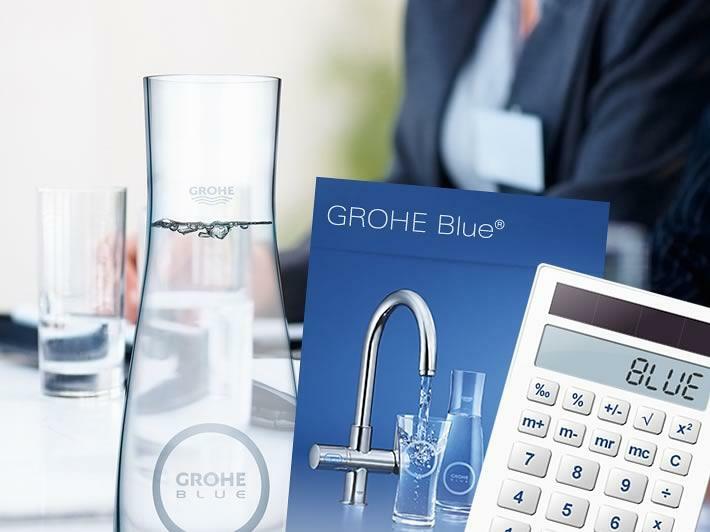 Invest in a GROHE Blue water system and you’ll have instant access to a constant supply of freshly-filtered, great-tasting water.